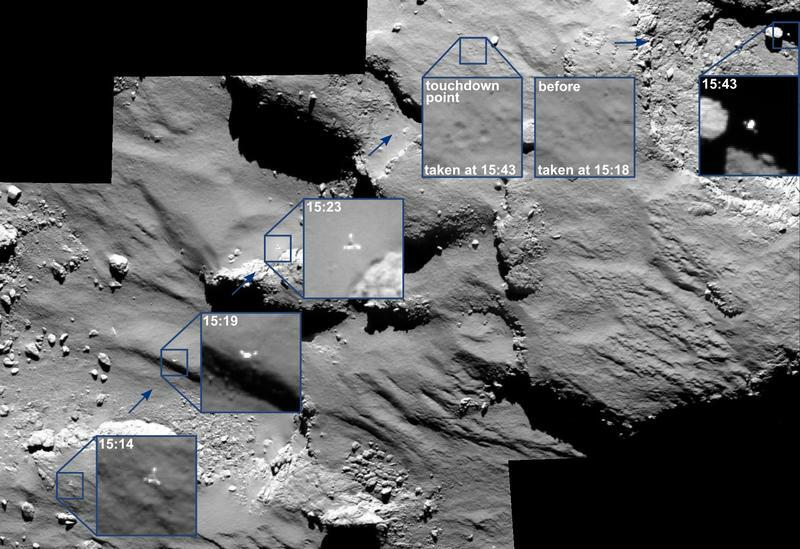 Before Philae touched down on Comet 67P last week, it bounced off the space rock’s surface twice before finally landing on its side. 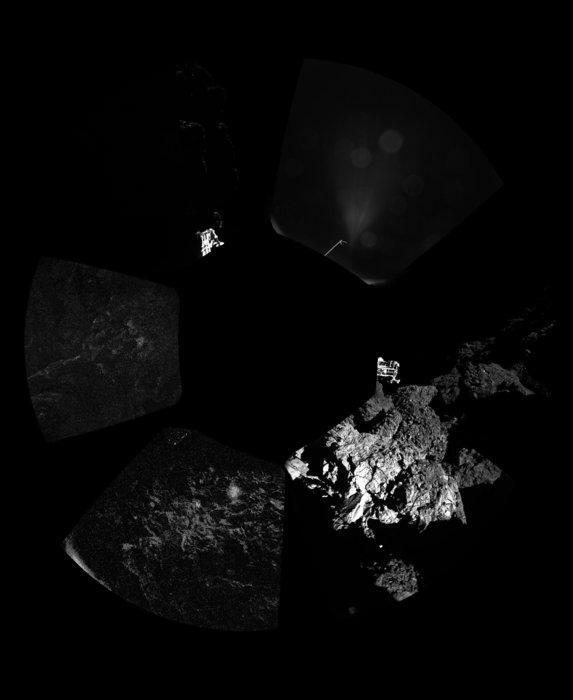 Witnessing the whole thing was the European Space Agency’s Rosetta spacecraft, which captured a series of amazing photos showing Philae before it came to a rest in the shadow of a cliff. Philae is but a spec among Comet 67P’s immense frame, a pioneer in mankind’s efforts to uncover the mysteries of our solar system. 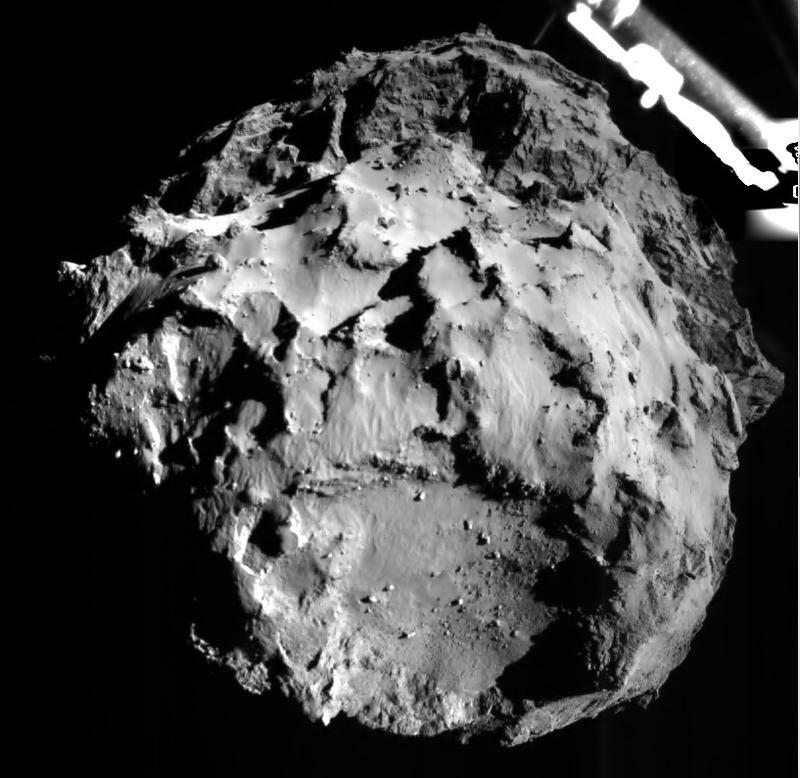 Philae touched down on the comet’s surface after ten years of travel and a hellish seven hour descent. But that final leg of the lander’s journey proved to be too much; Philae’s anchoring harpoon system didn’t launch as planned, causing it to bounce back toward space and eventually ending up far away from a prime spot picked out by the ESA. 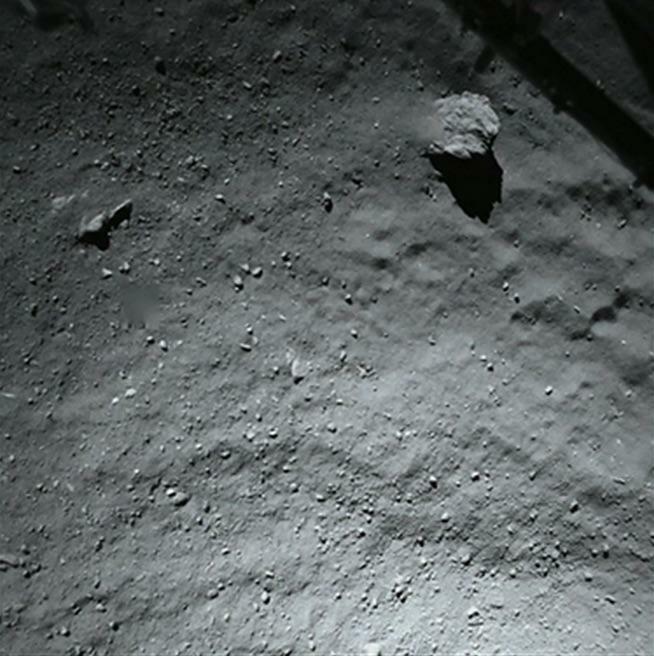 As you may well know, the lander slowly ran out of reserve battery as it lay on the comet’s surface like a fish out of water. Researchers originally planned to operate Philae through 2015 using solar technology, but because it landed in a shadowy graveyard, it won’t receive the sunlight required to properly recharge the battery. ESA officials are hopeful the lander will spring back to life as it nears the sun, though prospects are looking grim at this point. Rosetta, on the other hand, will continue studying the comet until at least the end of next year, ever watchful of Philae as it lay dormant on the icy surface. 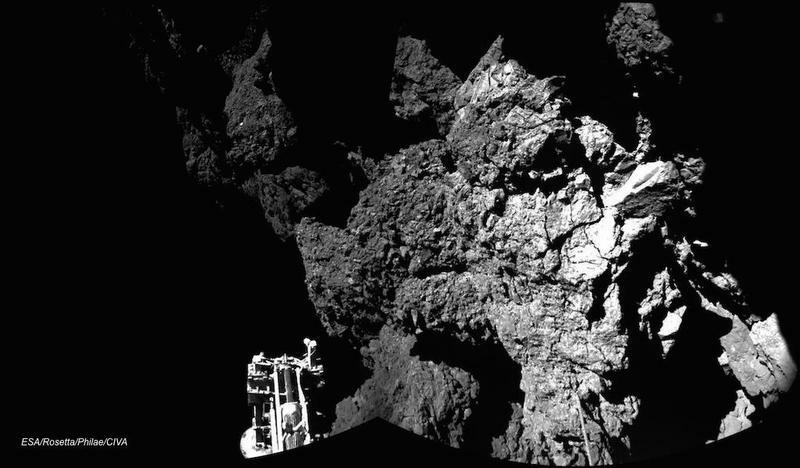 Philae’s demise is sad and unfortunate, but take a moment to consider just how remarkable the achievement is. The lander’s journey may have ended before planned, but what a journey it was.